Labor Day weekend is here -- marking the unofficial end of summer. But even if your kids are headed back to school next week (or have gone back already!) you should still have a few warm, sunny days ahead. Enjoy these last sweet summer days with your family enjoying all that nature has to offer. Feel like you've already exhausted all of your summer activity ideas? Here are a few of our favorite ideas that you may have missed from earlier this year. Enjoy -- and happy Labor Day from the Inhabitots team! Corn ice cream? 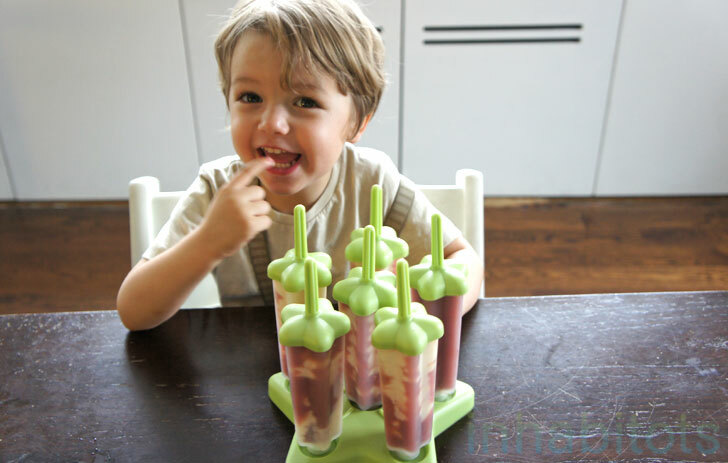 Sounds a little wacky, but we swear it’s delicious and your kids will love it too! Corn is still in season so you can make this chilly treat with local produce. You don’t have too many days left to enjoy a scoop of homemade ice cream in the backyard so do this while the weather is still warm. Our recipe is easy-peasy. Hit the beach one last time — slathered in safe sunscreen of course — and be sure to bring along a set of eco-friendly sand toys. Don’t be afraid to get your hands dirty, er sandy, with your child making the best sandcastle of the summer. Check out our favorite eco-friendly toys for the beach and pool before you pack your beach bag. Making frozen fruit (or even veggie!) pops at home is easy, and a much healthier choice than buying the high fructose corn syrup and artificially colored options at the grocery store. 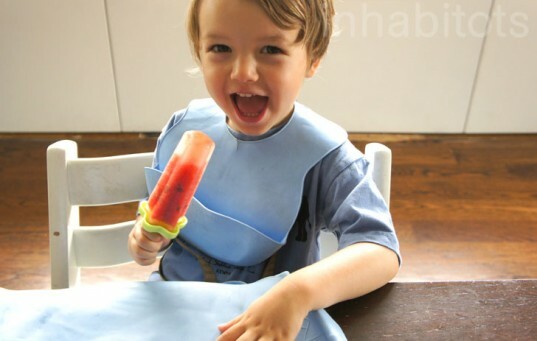 Take some advice from Inhabitots found Jill Fehrenbacher who shares her favorite popsicle making tool and ideas for what to freeze and eat on those last hot days. Show your kids the wonder of the ocean and what fun the power of its waves can be by bodyboarding. It’s an activity that’ll get your kid moving and get him closer to nature. Once your kid masters the art of bodyboarding with our simple how to instructions you can enjoy a good book while he rides the waves — or you just may want to join in on the fun! 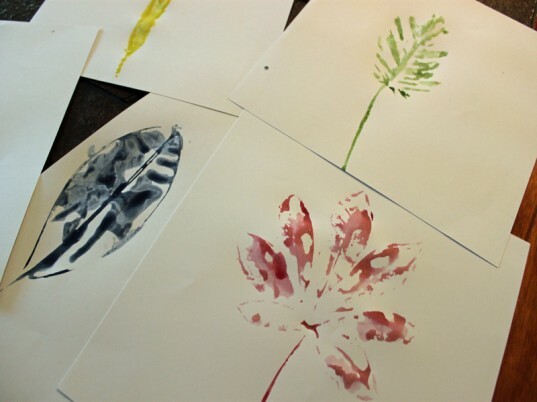 Follow our crafty blogger Jennie Lyon‘s instructions for using Glob Natural Paints to make pretty leaf prints. Enjoy a late summer hike with your family and collect a variety of leaves along the way to create art once you get back home. If you don’t get a chance to do this activity yet this summer, it’s also a perfect fall activity as all the leaves start to pile up in your yard or park. Corn ice cream? Sounds a little wacky, but we swear it's delicious and your kids will love it too! 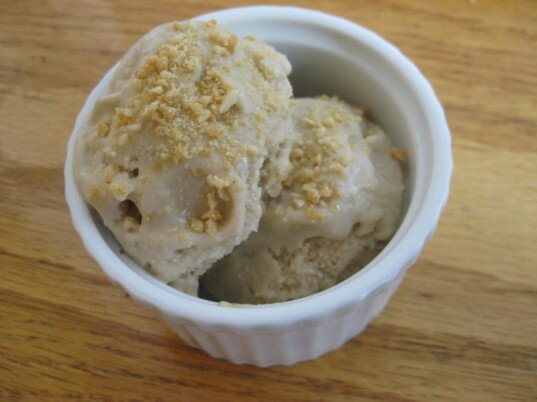 Corn is still in season so you can make this chilly treat with local produce. You don't have too many days left to enjoy a scoop of homemade ice cream in the backyard so do this while the weather is still warm. Our recipe is easy-peasy. Hit the beach one last time -- slathered in safe sunscreen of course -- and be sure to bring along a set of eco-friendly sand toys. Don't be afraid to get your hands dirty, er sandy, with your child making the best sandcastle of the summer. 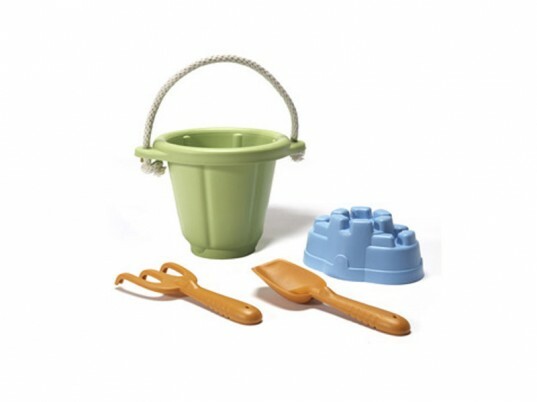 Check out our favorite eco-friendly toys for the beach and pool before you pack your beach bag. 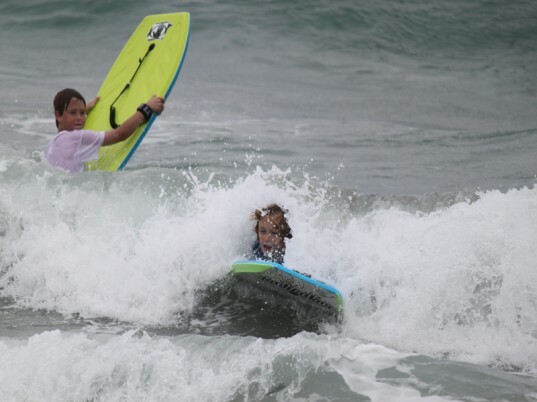 Show your kids the wonder of the ocean and what fun the power of its waves can be by bodyboarding. It's an activity that'll get your kid moving and get him closer to nature. Once your kid masters the art of bodyboarding with our simple how to instructions you can enjoy a good book while he rides the waves -- or you just may want to join in on the fun! Follow our crafty blogger Jennie Lyon's instructions for using Glob Natural Paints to make pretty leaf prints. Enjoy a late summer hike with your family and collect a variety of leaves along the way to create art once you get back home. If you don't get a chance to do this activity yet this summer, it's also a perfect fall activity as all the leaves start to pile up in your yard or park.